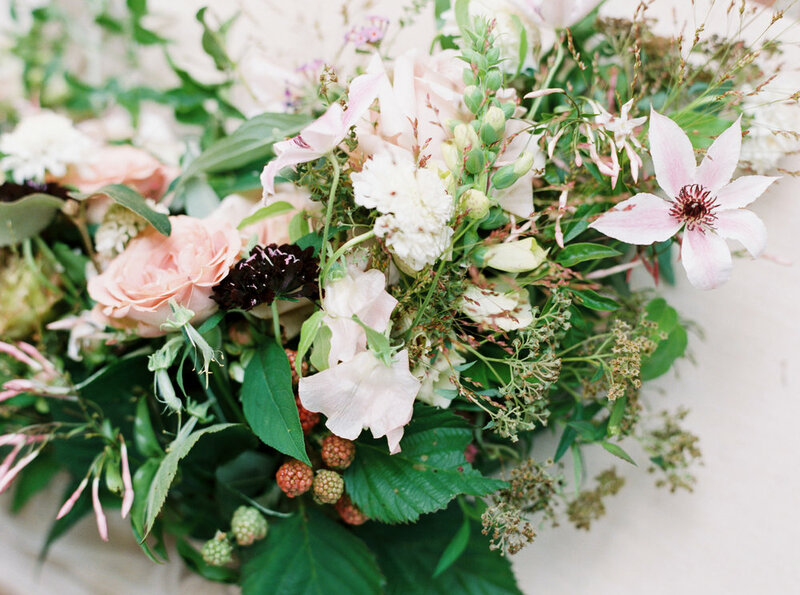 Garden State of Mind — EVERGREEN FLOWER CO.
Loaded with texture and airiness, designs for this wedding included Clematis, blossoming Jasmine, Blackberry, and Scabiosa. 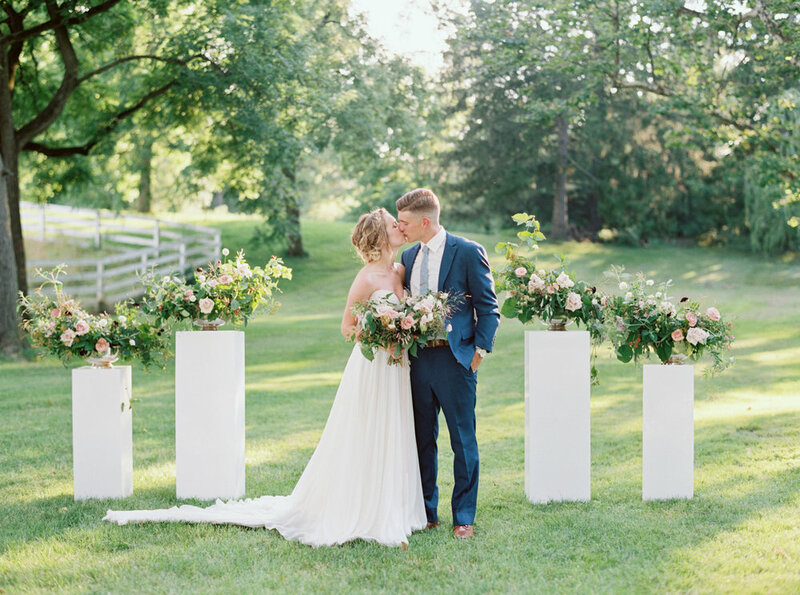 We created four large designs placed on white pillars that were repurposed as art pieces at the reception site (I love when we get to do that!). 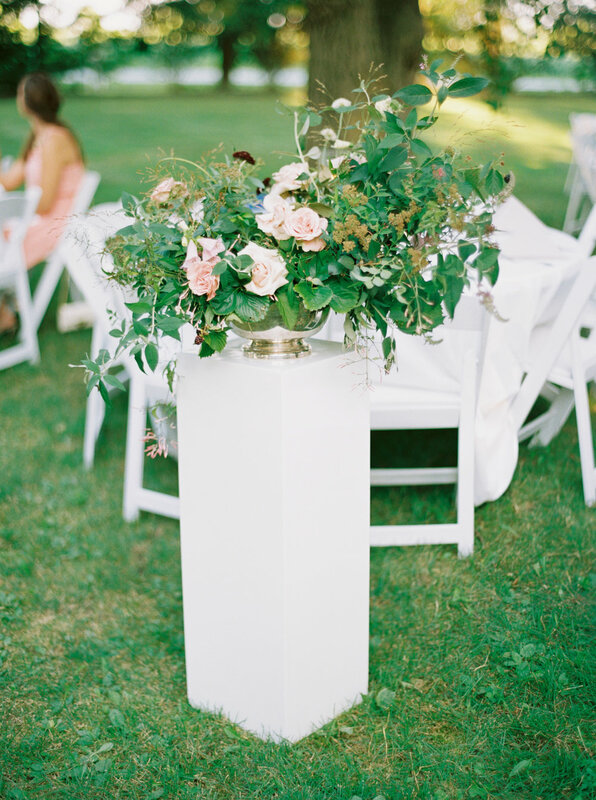 And peep that dreamy sweetheart table that bride, Jenna, styled herself (Pssst! you can see some of her personal photography work here)!